I remember reading a YA book about 10-15 years ago about a brother and sister playing a VR game. I think the brother started first and needed help from the sister but it could have been the other way around. I remember it being very detailed but I can't remember the title, I have an idea that the cover might have featured a tree or jungle of some kind but I'm not certain and it could have had different covers from different publications. 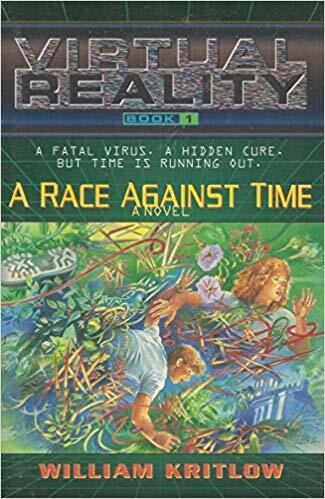 I did a little light google searching and ran across A Race Against Time: A Novel. It is part of a series with cover art resembling a part of a tree. Not the answer you're looking for? Browse other questions tagged story-identification books young-adult virtual-worlds or ask your own question.